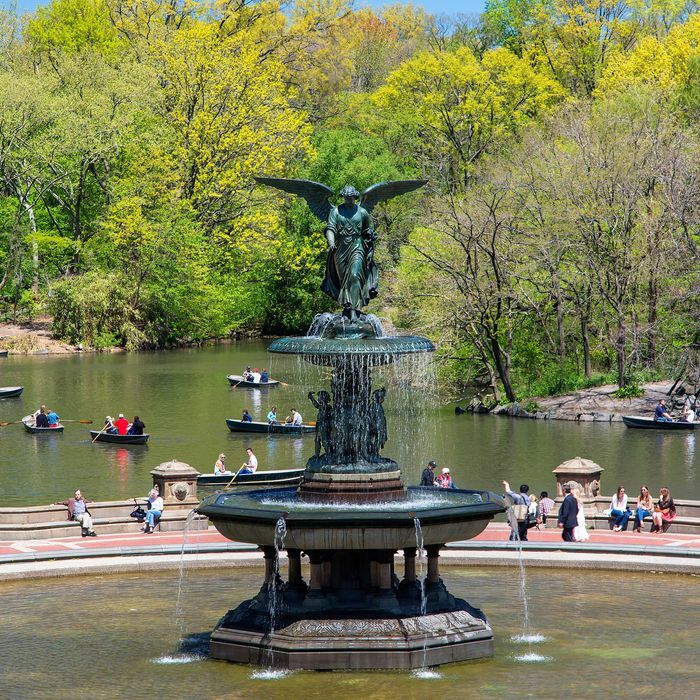 Nestled amid the greenery of Central Park are some rather inexplicable statues of men of history — such as King Jagiello, a 14th-century Polish king, and Albert Bertel Thorvaldsen, a Danish sculptor who lived in the 18th century. Not included in the park’s 22 monuments dedicated to historical notables are any real women. Currently, the only female figures to be honored with statues in the park are fictional (and not necessarily human), like Mother Goose and Alice in Wonderland. This may be changing soon, though. The New York Times reports that the city’s Parks Department has granted conceptual approval to an effort to erect a statue of Elizabeth Cady Stanton and Susan B. Anthony by the park’s West 77th Street entrance. As of now, only a few of the 800 or so sculptures in New York City’s parks feature historical women — including Eleanor Roosevelt and Joan of Arc, which are both located in Riverside Park. According to the Times, installation of the new statue will require an endowment of $400,000 to $1 million to cover construction and upkeep, so the introduction of bronze women to Central Park could still be a ways off.